TamerX has the pump for your truck. 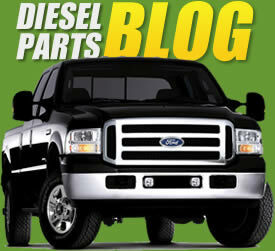 The 2011-2015 Ford Powerstroke 6.7L Diesel is the first of the Powerstroke diesels to be designed by Ford Motor Company. The Fuel System used on this engine is a Bosch fuel system using a CP4 HPCR Diesel High Pressure Fuel Pump along with piezo injectors. TamerX is the first in the industry to have the capability to test and re-manufacture these pumps. TamerX offers a testing service for the CP4 pumps. TamerX CP4 High Pressure Fuel Pump Part #HPP7422 OEM#BC3Z-9A543-A OEM Part# BC3Z-9A543-A BOSCH REMAN# 0986437422 . TamerX Diesel CP4 High Pressure Fuel Pump. TamerX is a pioneer of the CP4 High Pressure fuel pumps remanufacturing. TamerX is the first to develop a re-manufacturing process for this style Bosch CP4 High Pressure Fuel pump. 2008-2010 Ford Powerstroke 6.4L Diesel High Pressure Fuel Pump Cover gasket kit. This Kit comes with the Integrated wiring harness steel fuel line a wire fasteners.